Our REN HYGGE coconut wax candle with no added fragrance, is the new kid in town making friends with all those who suffer from fragrance related allergies. 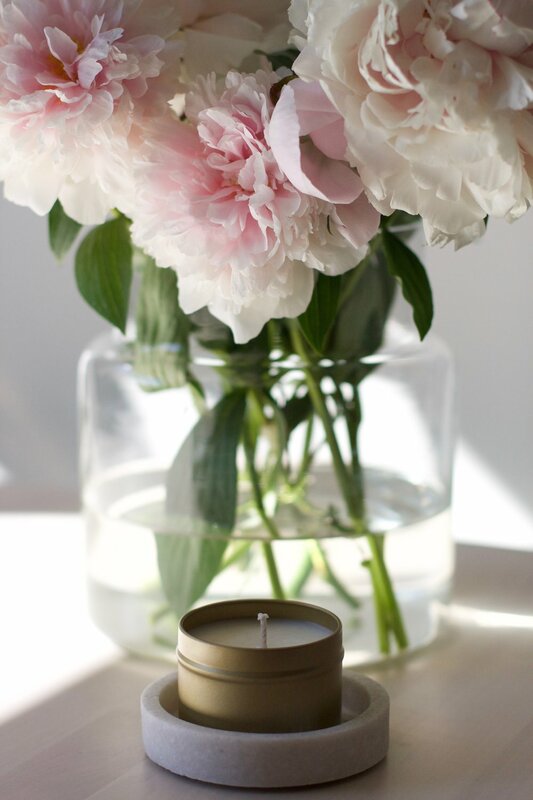 Although our scented candles are lightly scented with allergy friendly scents/essential oils, there are still some who doesn´t enjoy the aroma from candles. Place it on the dinner table or in your livingroom where you want the beauty of candle light without a layer of scent. Just experience REN og SKJÆR HYGGE! This scent is a symphony of honeysuckle, cassia, jasmine and cedarre to catch some of the tropical passion that has motivated the creation of Boynoo. The scented light MI LOBI YU is the noblest star in the sky inspired by passionate whispering under South American palms. The name is local snake for "I love you"..
Our "LOVELY FRIDAY" candles are inspired by the magic feeling of FRIDAY. The first day of the weekend. It is a day we tend to embrace and celebrate. FRIDAY means happiness and excitement, however you decide to spend the day- in a fun and lively setting with friends or in peace with your loved ones at home. This candle is a tribute to FRIDAY! This is one of our stronger scents.